This December DMP is very proud to be supporting Tunbridge Wells Mayor’s Toy Appeal. This worthy cause helps to bring joy and magic to children and teenagers in the local area who are in need or families find the Christmas period a challenging time of year. By donating toys or learning material to the Mayor’s Toy Appeal helps to sprinkle Christmas cheer to others. DMP wants to help raise awareness for this wonderful cause, as every little donation helps to make someone’s Christmas that little more enchanting. 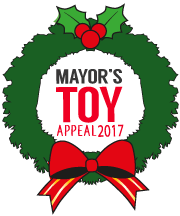 To know more about the Mayor’s Toy Appeal and how support click here.